Description: Acqua by Bosa right accross from skytrain and Lansdownne Mall. Only 3 yrs quiet corner unit on 11th floor. 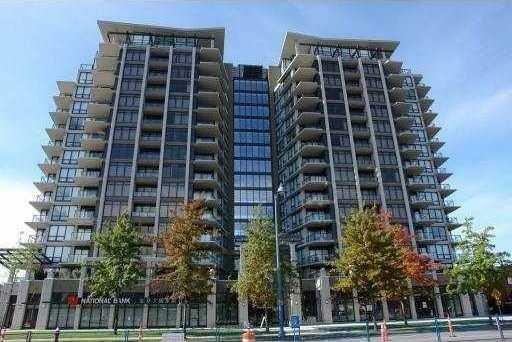 NW facing with unobstructed mountain view, 2 bdrms and den, 2 baths, spaciopus and functional 1040 SF, 2 parkings and locker. This gorgeous unit features brand new wood flooring, sparkling quarts counter tops, tasteful stone feature wall, S/S appliances and more. Maint. fee includes gas, hot water, outdoor pool and rec centre. Rental allowed and ready to move in. Close to transit and Richmond Centre.